I arose from my bunker the other day to see how much more of the Matchmaker and Levy Series we have to deal with. Unfortunately, as a real life version of the Monopoly Man held me off the ground, I saw my shadow, meaning we have six more weeks of Matchmakers and Levys. I had you worried for a second. Heck, I even had me worried. This is the fourth leg of the Spring Yonkers Series, meaning we have one more before the finals. We can do this, people… together. Round four of the Blue Chip Matchmaker goes on Friday, Apr. 7. We only have two divisions of the Blue Chip Matchmaker to cover this go-around, since many mares abandoned the cause, perhaps because deep down they know they’ll never be as pretty as Wrangler Magic, who should be the public choice. However, this group is a crapshoot and the betting will likely have very little deviation from the favorite to the longest choice. To the inside, Betabcool N has another opportunity to win. In the first three rounds of this series, she has been sweeping into contention from off the pace, but is usually off by the slightest margin from victory. Maybe that’ll be different this week? I dunno, but she’s probably our best chance at value (look for 5-1 or greater). Mach It A Par is here! She has been unbeatable in this series, except when she finished second in the third round… oh, and when she was fifth in the second. Otherwise, she’s undefeated. The public will come flocking for Mach It A Par, while ignoring Medusa, who could be the best price in this field. Faltering on the lead as the favorite in round three, she likely tired since her preferred style, as demonstrated in this series, is to come from off the pace. Now, poised to stalk pacesetters, she’s bound to get a setup that could send her straight to the winner’s circle, and then back to the paddock, where she will be fed a combination of hay and honey before going home for a nice nap, knowing she helped a bunch of value-seekers make $20. We are now down to three divisions of the George Morton Levy Series, which contests its fourth round on Saturday, April 8. Many of the competitors have abandoned the cause to take up less manly endeavors, like knitting, and losing. We only have the winningest of winners competing — except Missile J, who is probably taking the week off to visit Spain. Wakizashi Hanover headlines this septet off a third-place finish from off the pace to pocket-sitter Soto and pacesetter Somewhere In L A. If he is sent off the favorite, however, that means the public’s sight is flawed, because, clearly, they don’t have Clear Vision. Debuting in the series last week, Clear Vision was third to Levy-leader Missile J and Great Vintage, who (spoiler alert) we’ll be seeing later on. The fact that he was closing ground to hit the board is a sign that he’s sharp. He draws an inside post again this time around, which should provide him a great set-up, i.e. a one-way ticket to win land! Ay yi yi. How on earth do we beat either Keystone Velocity or Provocativeprincen here? I’m not sure, but, off an improved effort against weaker competition, perhaps Te Kawau N can grab a minor share. That’s not saying he can’t win, but he probably won’t. He should be a high enough price to perhaps inflate the exotic returns, though. The final grouping of Levys gathers many series greats: Mach It So, Soto, Somewhere In L A and Bit Of A Legend N. These are all horses that I don’t care too much about… well, maybe Soto if he’s sent off at 4-1 again. But we’re here for Great Vintage, who displayed a revitalized self in his second-place effort to Missile J last week. Sure, he doesn’t have the rail this week and, instead, has post five. Sure, he’s 0-for-3 this season and, sure, he’s not any of the aforementioned horses, but he’s going to be a price, gosh darnit! And we like those, especially when they win — and this one might. Man, were our hopes and dreams crushed in last week’s rounds of the Blue Chip Matchmaker and George Morton Levy. I am, of course, exaggerating, but I was still sad over the outcomes. The Matchmakers were held in chalk city over a sloppy track last Friday. In round one, we expected a decent race from Krispy Apple (third, $2.10) and maybe an improved race from For The Ladies N (fifth, 32-1), but — ha, ha — nope. Bedroomconfessions wired the field at 4-5. 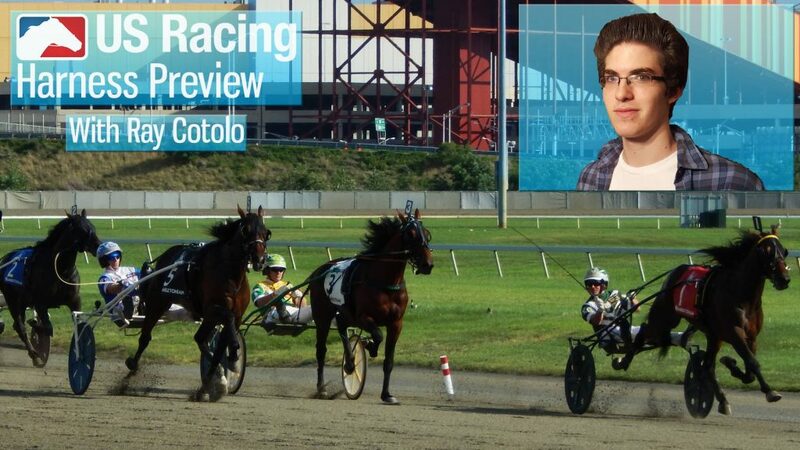 We had Betabcool N (second, $6.00; $3.70) in the second division. Our other contender Sandbetweenurtoes (sixth, 5-1) is probably still finishing the race. We’ll check in next week to see whether or not she finished. Then, in the final split, Lispatty (fourth, 11-1) did not fly into the mix as we thought. Instead, Shesjustadelight N did her usual thing and won at 7-5. In Levy Land, we nailed Soto ($10.00; $3.90; $3.10) in the first division, riding the rail and the passing lane to victory. Great Vintage (second, $5.30) was close to going to wire the second division, but then Missile J had to come off the cover and did his thing to ruin our thing. We got a nice $10.80 exacta with the favorite on top out of it, though. Division three saw our contender, Caviart Luca (fourth, 5-2), lose. In particular, he lost to Keystone Velocity, who propelled to the win from the passing lane as the 3-5 favorite. Finally, our contender who excels from off the pace, Guantanamo Bay (fourth, 2-1), faltered after setting the pace, losing to 4-5 choice Bit Of A Legend N.